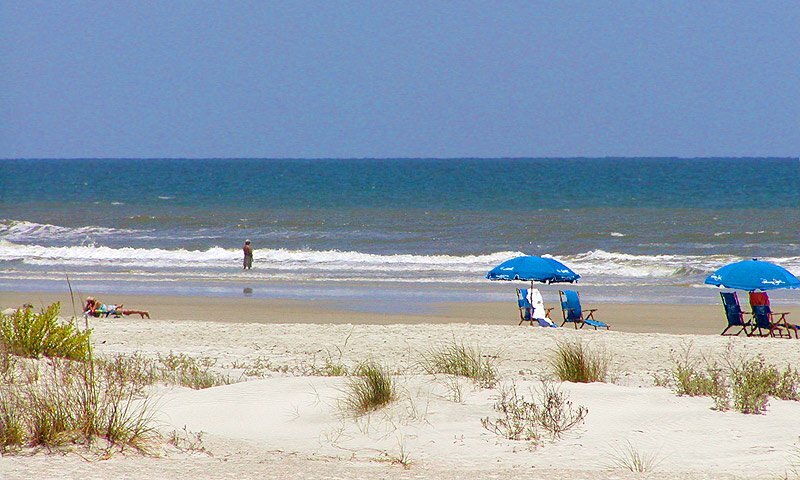 Ocean and Racquet Resort on St. Augustine Beach is a beautiful beachfront condominium complex, minutes from downtown and steps to the beach. Each condo unit has two bedrooms and two baths, with a full kitchen, washer and dryer, and a private balcony. The resort has three types of units available: Ocean Front, Near Ocean, and Jacuzzi Building units. Affordable rates are available for both short- and long-term vacations. 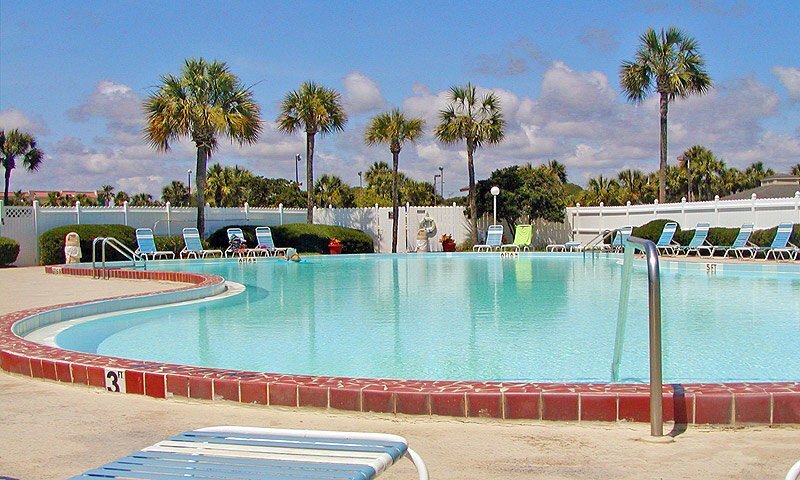 The Ocean and Racquet Resort has many amenities to offer its guests, including two outdoor pools (one that is heated in the winter), five Jacuzzis, tennis and racquetball courts, shuffleboard, horseshoes, an outdoor grill area, direct beach access and 24-hour security. 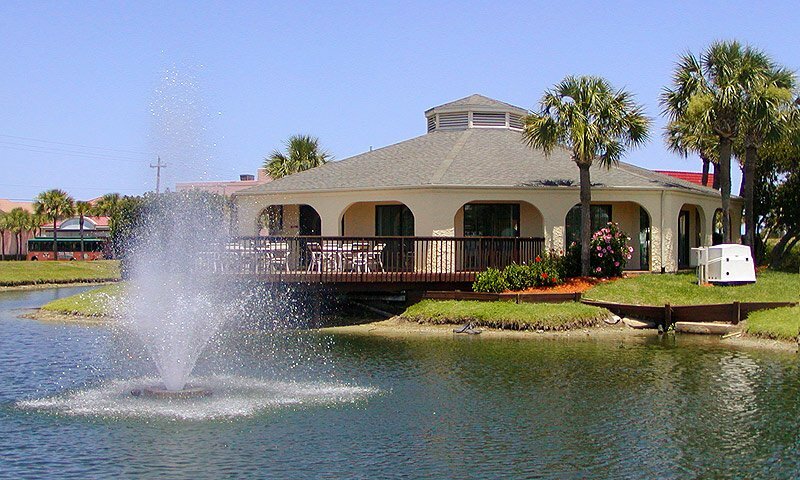 A large clubhouse is also available to rent for meetings, reunions, weddings, or other special events. The resort includes eight buildings and 279 units, of which roughly 150 are available through their onsite rental program. Each unit is privately owned, so the décor and interiors differ. All of the condos at Ocean and Racquet Resort sleep a maximum of six people. Each unit has two king or queen beds, though some have two twin beds in one of the rooms. Many units have high speed internet, and wireless internet is always available at the clubhouse. 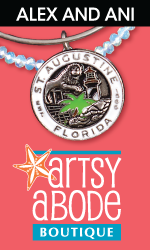 Visit Ocean and Racquet Resort's website to see all they have to offer and book a St. Augustine vacation. Amenities: Cable TV, phone, stove, refrigerator, microwave, dishwasher, toaster, coffeemaker, and DVD and VCR Players. All linen and dishes and kitchenware are provided. Be the first to Review Ocean & Racquet Resort!